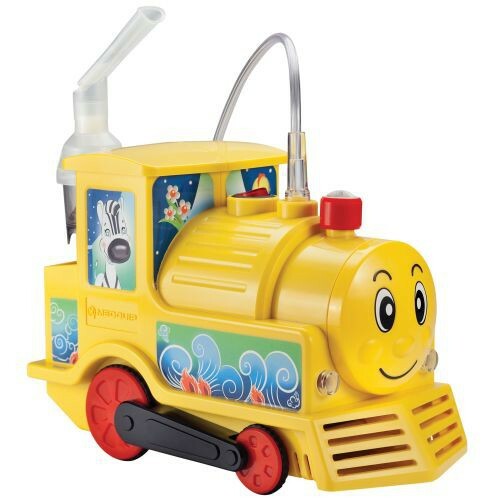 Airial Express Train Nebulizer System by Drive Medical is fun for all ages, providing patients with years of reliable service. AIRIAL Compressor nebulizer systems are a fun way for kids to get the treatment that they need with less stress and anxiety by stimulating their imagination and making it as much like play as possible. If trains are not your child’s favorite, there are also panda, car, and beagle options available through Vitality Medical. The Compressor Nebulizers are sturdy and made to last, even coming with a limited 5 year warranty. Simple to use and incredibly quiet, you and your child will both have an excellent experience with less struggle with each other and the machine. They are piston driven and include a disposable and reusable nebulizer kit as well as the pediatric mask, carrying case and tubing. For more effective treatments, add an asthma spacer and get the most from every treatment.